Cleansing of Coaches: Is this what Oregon Needed? 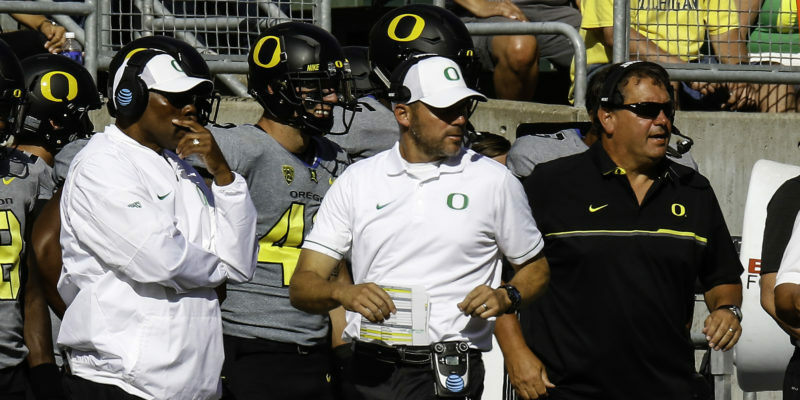 The change of coaching staff has brought about an unexpected vibe beyond what I could have imagined (it figures since being a season ticket holder for 30 years), as I am used to coaching continuity at Oregon, and clearly not used to wholesale change. Oh sure — I anticipated the excitement of the unknown and the hopes of Oregon football returning to national relevance — but this vibe is much different than what I assumed I would experience, and I feel guilty about it. You feel it too? The excitement and energy is not something that we long term fans can ever remember, frankly not for any sport. If another Duck coach had been elevated or hired from the Oregon coaching tree, this great vibe about the program would not be present. Approval of the new coach? Sure, along with a nod to the continuation of all that has been the Ducks, but not this sheer enthusiasm felt by fans, players and recruits for new Head Coach Willie Taggart. I believe that even with the massive change and no bowl game Taggart will have a recruiting crop as good as or better than what his predecessor had coming. And look out for 2018 recruiting! In the recruiting game, you see established football elites selling “wins,” while those teams aspiring to be great are selling “hope.” Right now Willie Taggart and staff appear to be selling both at Oregon. There are some Fortune 500 companies out there that believe in telling their top managers to “go find another job” every five years or so. The objective is to bring new ideas and energy into the organization and keep things from becoming stale within an ongoing status quo. Now, that strategy has a lot of risk, but it can also bring about large returns to shareholders, or in this case, the fans. Is the cleansing of coaches what Oregon needed? Wow. How can you possibly top that for confirmation of the importance of retaining a great coach for a very long time? It concerns me that Assistant Head Coach, and Offensive Coordinator of the Run Game, Steve Greatwood, may not be retained. His offensive line was the top rushing team in the conference for ten years running — until they slipped clear down to second due to four redshirt freshmen starters, and a defense who did not give them the ball for enough possessions. If you are a coach and want to learn about Zone Blocking? Where do you go? Well, a best selling DVD for offensive linemen at Championship Productions was created by Coach Greatwood…and both the Grizzled Ol’ Coach and I have it. Don’t want to buy it? Go to FishDuck.com and view the article about Zone Blocking by Coach Levi Steier – it has been read over Forty-Five Thousand times. (45,000!) It is a testimony to Coach Greatwood; is there really a coach that much better than him? This is not easy stuff, my friends. His replacement may never have Oregon back as rushing champion, yet the current excitement and vibe would not be present had Helfrich been retained. The loss of offensive continuity versus the boost that occurs with new energy and excitement…is the rub that was the crux of the difficult decision that Athletic Director Rob Mullens had to contend with. 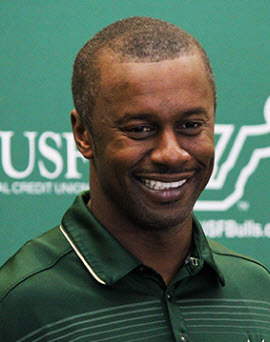 Is Willie Taggart our Jim Lambright? 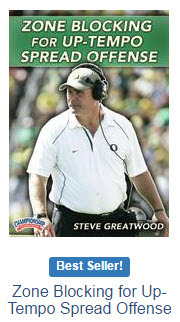 Oregon’s coaching continuity was one of our hallmarks of success. Yet Oregon (4-8) should not have dropped off a cliff like that, and Oregon’s defense should have never been that bad. The best of all worlds would be keeping Greatwood and John Neal, yet I doubt that will happen. Thus that massive risk I referred to will be present. Can Coach Taggart overcome it? Was a cleansing of the coaches something that should have been done sooner? Could this be the beginning of a Chip Kelleyesque-type of move up for the program, or could it be a Jim Lambright (the Washington coach after Don James) step downward? Which is it? I do not have all the answers, but I do like to ponder it and invite your thoughts.